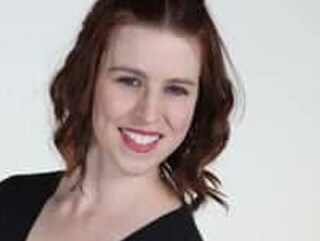 Ms. Deslongchamps has been training and performing since she was a child, and has taught at and choreographed for numerous dance studios and programs throughout southern Arizona. Her award-winning choreography is in demand by organizations throughout the Southwest. In her current tenure at Ballet Rincon, she collaborates in full-length ballet productions, teaches the advanced tap classes and intermediate to advanced ballet levels, and runs the Jazz Division. Mika is also the co-founder and Artistic Director of Dance for a Cause (DFAC), a not-for-profit organization that challenges dancers while raising funds for a variety of organizations and bringing the joy of dance to new audiences. Ms. Delongchamps holds a bachelors degree in Speech and Hearing Sciences from the University of Arizona. When not dancing, choreographing or teaching, she works with children full time as a speech therapy assistant in the Vail School District. Mika Deslongchamps is an ABT® Certified Teacher, who has successfully completed the ABT® Teacher Training Intensive in Pre-Primary through Level 3 of the ABT® National Training Curriculum.